Seattle police say a hit-and-run driver killed a bicyclist Tuesday morning in Seattle’s Sodo neighborhood. The collision occurred near the intersection of 1st Avenue and South Andover Street, which is near the West Seattle Bridge. Reports say medics attempted CPR to revive the bicyclist but were unsuccessful. The bicyclist died at the scene. It’s no secret that collisions involving motor vehicles and bicyclists are inherently dangerous. Many cities across the country have taken initiatives to increase safety for bicyclists, and Seattle is no exception. Unfortunately, accidents do occur. There has been at least one other bicyclist killed in Seattle by a driver in 2017. Patch News says that Ronacin Tjhung died in January while biking along Martin Luther King Jr. Way South near South Graham Street. Tjhung was hit by a driver in an SUV and died about a week after the collision. According to the Washington State Department of Transportation crash data, there have also been 17 “suspected serious” injury bicycle-vehicle collisions in 2017 in Seattle. In 2016, Seattle saw two fatal crashes and 29 suspected serious injury collisions. Use lights: Make sure you are visible to drivers when it’s raining or there’s low light. 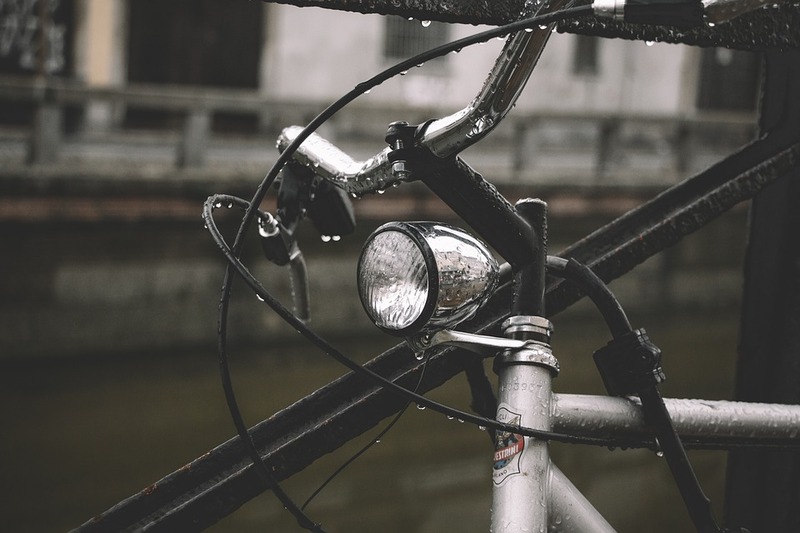 Using an LED light on your seat post and handlebars can combat the glare many drivers experience in the rain. Be careful: Use additional safety measures when it’s wet. Wet tires mean longer braking distance, and slick roads are a recipe for disaster. Reduce your speed: Just drivers should slow down when it’s raining, bicyclists have the same responsibility to slow down for conditions. Eliminate distractions: When the weather is nastiest and you’re riding near traffic, listening to music or talking on the phone is not the best idea. Staying completely focused on the road is the best way to stay safe. If you or a loved one has been injured in a bicycle accident, Seattle-based attorney Chris Davis has authored an informational legal guide that may provide some helpful guidance about the reality of bicycle accidents and what to expect during the legal process. 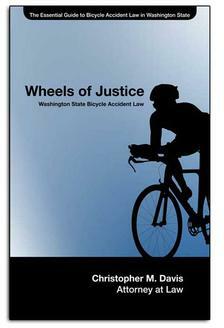 If you would like to order a copy of “Wheels of Justice: Washington State Bicycle Accident Law” or if you would like to speak with an attorney about your accident, contact the Davis Law Group at (206) 727-4000 today. You can also fill out the form on this page or use the chat feature below.